Have you lost your Isuzu car keys? If you answer yes, then there is a solution for that. You can contact us for Isuzu key replacement. Imagine going to the parking lot after a long day at work only to realize that you have misplaced your car keys. You cannot spend the night at the office. You still need to get home. Whether you have an Isuzu Rodeo, Isuzu Axiom, Isuzu Oasis, Isuzu Ascender, and Isuzu I-280, we can help you. We will make sure to provide the Isuzu key replacement service or the other key services you need to help you use your Isuzu vehicle again. Isuzu is not being produced anymore. It has been years since Isuzu has produced their last vehicle but it does not mean that people do not own their Isuzu models anymore. There are still plenty of the car models on the road. They will work while they last. Yet, there are moments when the issues stem from the car key and lock and not from the car’s overall performance. This is when we can help you. We, at Bobcat Locksmith, will make sure to provide the key replacement plus all the other Isuzu locksmith services that you need. We also offer Isuzu key programming which is a bit hard to find nowadays. You can simply give us a call and we will be more than willing to tell you more about it. You may drive an Isuzu that uses a transponder key. The moment that this encounters some issues, you will have some trouble looking for spare keys. Take note that you can get spare keys even before you lose the one that you have but it can be a bit of a hassle. Contact us immediately if you need Isuzu key programming especially during emergency situations. Isuzu keys that need programming are a bit complicated to make because they require 4-digit pin numbers. These numbers cannot be accessed immediately by diagnostic machines. Locksmith companies need to have the right tools and materials to ensure that the replacement key will be provided immediately. We can do Isuzu key programming provided that you will let us know what your car model is and what type of car you have. You can also let us know if you just need a spare. If we need to reprogram your Isuzu key, we first need to remove the immobilizer. After that, we will know what the pin is. We will use the pin for programming. After that, you are going to have the key that you will use for your Isuzu vehicle. You are sure that you have lost your car keys. What are you supposed to do? The first thing that you need to check is if you have a spare key. If you do, you do not need to call for key replacement anymore. 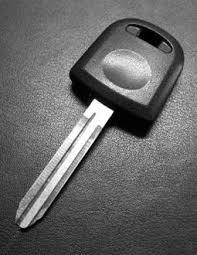 You need to be specific about your car model and the car key when you contact us. Let us know if your car needs to be programmed. There are some people who will choose to contact dealers instead. If you do this, it will take time before you get your new car key. If it is okay with you to take public transportation for a while, this can be a good option. You also have to spend a lot of money before you get your car key. It might not be ideal to call a dealer when your key is lost in the middle of nowhere. Your key may stop responding while you are driving. You may even lose your key after buying a few things from the grocery or the mall. Calling a dealer means that you need to get your car towed. Towing services will cost a lot of money. Short distances will require you to spend about $100. The price will increase as the distance grows further. It may be ideal to get key replacement from the dealer first. If the charges are too high, you can call us instead. 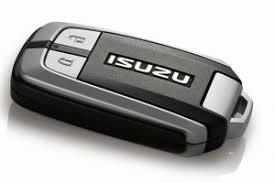 We can provide the Isuzu key programming that you require at the soonest possible time. We will let you know if your key contains a transponder chip or not. A spare key without a chip will require less time compared to the one with a chip. One reason why you may get stuck in one place is if you need to have your ignition replaced. You can contact us immediately. You need to tell us if the ignition is an ongoing problem or if it is the first time that it has happened. This will give us a better idea of what we have to do to help you. You should also let us know if the ignition has been replaced before. We have to know if aside from the key replacement if you need other services. If the ignition has been changed, the key replacement will become more complicated. You will know if the lock has failed if you cannot place the key in the lock or if the key breaks while you are trying to insert it in the ignition of the vehicle. We will require you to show some documents to show that you are the owner of the vehicle. If you cannot provide the needed documents, we are not authorized to lockpick or do other locksmith services for the Isuzu vehicle. There is a possibility that you have locked your key inside your trunk. Once this happens, there is no way for you to get it out. Contact us so we can provide the spare key needed to open your trunk to help you retrieve your key. Of course, it will be different if you actually lose your key somewhere and you need key replacement. We are proud to say that we are always ready to provide the services that you need. From key replacement to Isuzu key programming services, we can offer what you require. Contact us. Our customer service representatives are available 24/7. We are available for emergency locksmith services as well. Ask us about it.